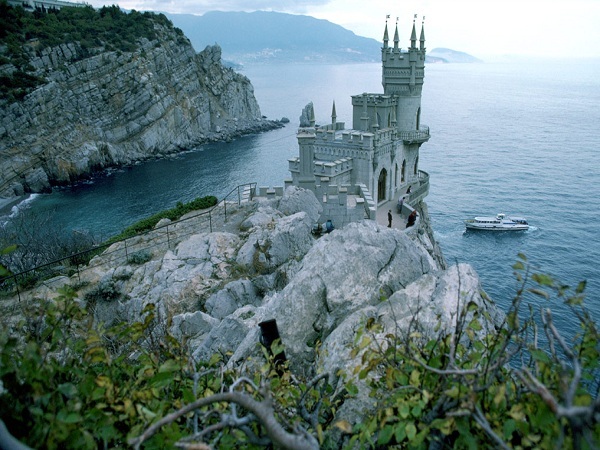 Few places on Earth are as enchanting, eye-catching and fascinating as Swallow’s Nest Castle in Crimea. Perched 130 feet (40 meters) above the Black Sea, atop the breathtaking Aurora Cliff, the castle is the symbol of Crimean Peninsula and one of the top tourist attractions for any visitor to Ukraine. This is also a dreamscape getaway for many marriage proposals since the truly majestic views make it a very romantic spot.